When April comes around, doing our taxes inevitably follows. As someone that works with many individuals planning for their financial future and security, I often find that during times of stress we can forget the purpose behind our actions. Although we all celebrate a salary raise or a successful new business venture, we don’t always like to think about its tax impact-- and we may then lose out on opportunities to conserve or grow that wealth by sheltering it with proper planning! Therefore, whether you do your taxes yourself or have an accountant, approaching your taxes thoughtfully by asking yourself some key questions is vital for optimizing your quality of life. If you have an accountant, does the accountant chase you or do you chase him/her? If you’re doing the chasing, it might be time to consider switching accountants. Often, I find people to get attached to their accountants because of the nature of the relationship-- dealing with money is personal, not just business. People can get really emotional about money because finances are linked to our survival and the amount of comfort or choices we will have as we age. It is really important that you feel comfortable with your accountant. If you feel he or she is not prioritizing you or serving your needs, you may have to reconsider the arrangement. I meet with my accountant every quarter, whether I feel the need or not-- this keeps us focused throughout the year so that there are no surprises in April, and if we have “extra” time at our meetings we can use it to review our plans, brainstorm new ideas, clarify questions (especially with the new tax code this year), and make sure we’re using every legal maneuver available for a smart financial strategy. If your accountant is chasing you, you might want to consider setting up calendar reminders or regular meetings so that you have everything prepared in advance. You may also want to hire someone to come and “hold your hand” and help you prepare your documents if needed; or keep track of your bookkeeping throughout the year. Remember: taxes and money are not everyone’s strength-- they’re certainly not mine. I have great support when it comes to bookkeeping, and although it is a little costly I firmly believe it helps save money in the long term. Having support frees my energy to focus on other areas where I have professional strengths; it keeps my stress levels lower; and it probably reduces mistakes since I delegate as much as possible to professionals. If you and your accountant are running the race together, cheers to you both! Take time to acknowledge your achievement. It is really important to celebrate your victories and give yourself a pat on the back for a job well done-- doing so helps us to stay motivated, and to be able to weather challenges better because we are also conscious of our strengths. Give yourself a round of well deserved applause! With tax day around the corner, if you believe your tax style needs some revamping, I hope you use these questions as a springboard for making useful changes. Everyone has their own way of handling taxes, and there’s no single approach that is best for everyone. Whatever you do, it’s important that you take the time to ensure that your approach is a conscious choice that really serves you best in the long term. 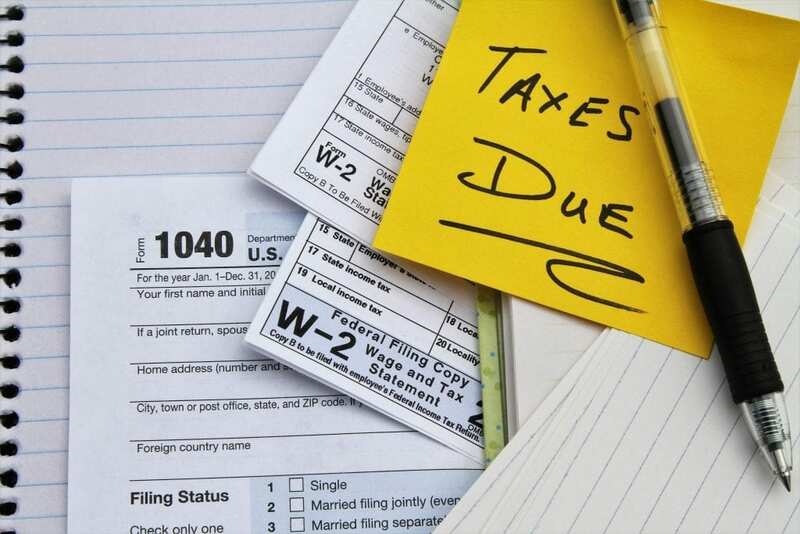 We often perceive tax season as stressful, so do yourself a favor by being mindful during this time so you can avoid short changing yourself due to stress. Whatever strategy you choose, consider planning a nice celebration for yourself when it’s all done-- a glass of champagne, a meal somewhere fun, a massage to relax… the choice is yours, and you deserve it for a job well done. Get instant access to to my "Secrets from a Million Dollar Practice" 1-hour webinar for $129 FREE.